A couple of tidy analyses there. 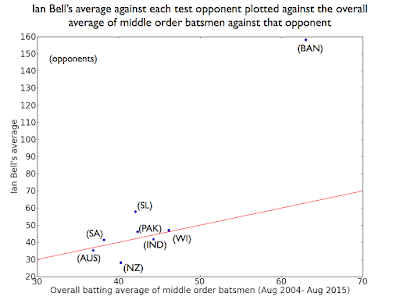 It will take a lot of numbers to dislodge the impression that Bell 'went missing' regularly when England needed some tough runs. I thought 2013 was a turning point, but no. 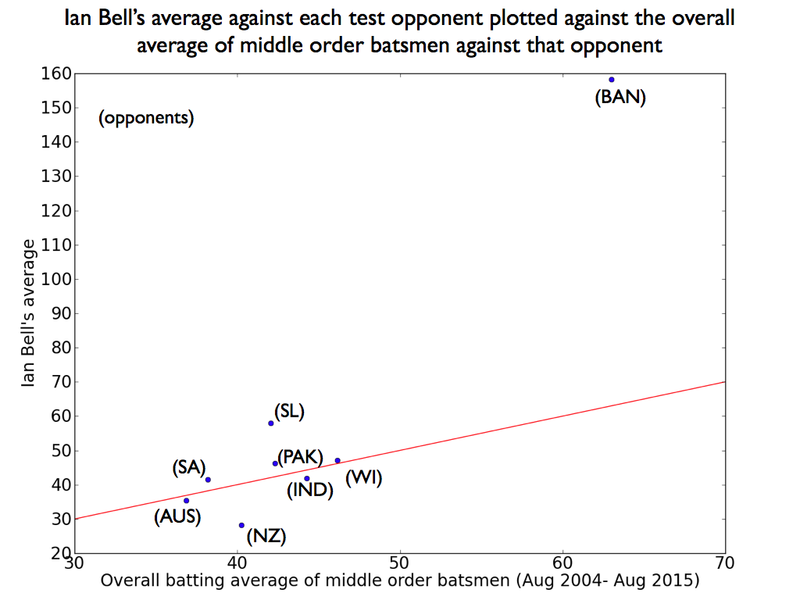 An interesting point about the second analysis is that, having read the 2009 article from Deep, Backward and Square, I no longer think it's correct to expect players coming in when wickets have fallen cheaply to tend to be out cheaply. The message of that post was that what happens later in an innings is not well predicted by what happened earlier. Yes, I agree the deep, backward and square post impacts on this. Maybe there is no good way of defining 'easy runs' based on innings situation. It may be better to think about 'important runs' (i.e. your team needs them) than easy runs.